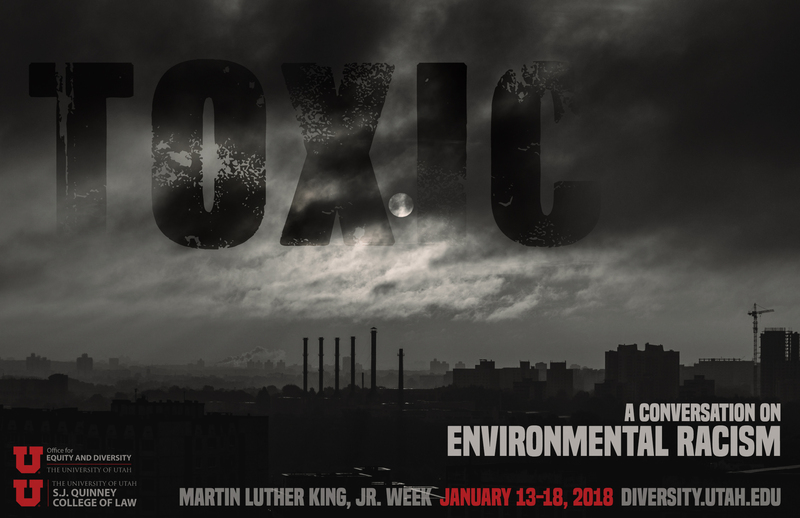 This year’s theme addresses the intentionality of environmental racism through systems and policies that disproportionately regulate zoning laws, chemical and toxic waste, and access to natural resources for communities of color as a way to further inequity of social, economic, and political power. These types of policies still exist today and have manifested through current issues like the Dakota access pipeline, Flint water crisis, and natural disaster relief. Dr. Rebecca Hall is a scholar-activist. Dr. Hall’s work specializes in legal history, Critical Race Feminisms, slavery and the slave trade, gender and slavery, and social movement history. Much of her activist work focuses on legal rights education, climate justice, and training activists and community organizers. Carl Moore’s father is Hopi and his mother is English, Irish,German,Mexican and Chemehuevi (Chi-mi-way-vee). He is a member of the Colorado River Indian Tribes in AZ. He is concerned about humanity as a whole and has used his platform of being a cultural lecturer and performer to dispel unfair stereotypes of Natives, to give all people an assurance of their value, and to bring his Creator glory. Carl and his wife have 7 children and a granddaughter. Carl majored in Political Science and minored in American Indian Studies at Utah Valley University. Victor Puertas is an Indigenous, migrant Peruvian man. Civil war and Environmental destruction brought him to the United States, where he currently resides in Salt Lake City, Utah in occupied territories of the Shoshone Nation. Victor works as an organizer with three different organizations: Reclaim Turtle Island, Peaceful Uprising and Utah Tar-Sands Resistance. The work he does focuses on land-defense, community support and Indigenous solidarity with a strong anti-colonial, anti-capitalist, intersectionality frame and approach. For the past four years, he has been working to stop the first commercial tar sands mine in the US, in the eastern part of so-called Utah. Adrienne Cachelin is an Associate Professor with the Environmental and Sustainability Studies Program at the University of Utah. She pursues two lines of research, one involving framing and assessment in sustainability education, the second centered in community-based environmental justice. Adrienne also serves as the Sustainability Education Director for the University of Utah’s Sustainability Office. In this role she facilitates transdisciplinary sustainability education and research through her work on initiatives including faculty workshops and learning communities, development of learning outcomes, and interdisciplinary scholars initiatives. Ms. Taylor earned a B.F.A. and a B.S. in Anthropology/Sociology at Montana State University. She earned her Ph.D. in American Indian Studies through the Faculty of Archaeology program at the University of Leiden in the Netherlands. She has taught American Indian Studies and Culture for over 25 years locally, nationally, and internationally at all educational levels. She has worked on creating American Indian curriculum for public schools. At present she is a cross-cultural consultant for University Health Sciences and the Executive Director of the American Indian Resource Center at University of Utah. She sits on several national Indian Education boards.